Xiaomi Redmi Note 4 has been officially launched with incredible specifications and features. This phone is powered by Qualcomm MSM8953 Snapdragon 625 chipset, Octa-core clocking at 2.0 GHz Cortex-A53. See rest of the specs below. See more photos of Xiaomi Redmi Note 4. Price (About 160 EUR), $171 in USD, CNY 1,176, KES 17,759, INR 11,659. NGN 53,000. 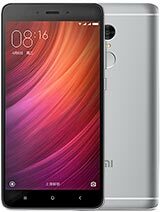 Xiaomi Redmi Note 4 specifications, review, price in India, China, Kenya, Nigeria, Ghana. Xiaomi Redmi Note 4 unboxing pictures, specs and hands on. You can have it shipped to your location. This device makes sense. The battery is very good. I wish I had enough money right now, would go for it.